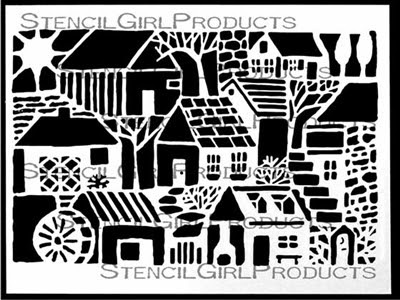 StencilGirl Talk: FOLK ART is the art of the everyday. I am really drawn to this stencil, I think because I read somewhere that life is in the pauses, and the in-betweens on the path to somewhere, and in the process of getting things done. I can feel myself opening the little red gate and walking up the stone path to what? My home or perhaps to visit a friend? This is life. It is a gift to be alive, to be feeling, to be aware. How we are in each moment of life, is our art. 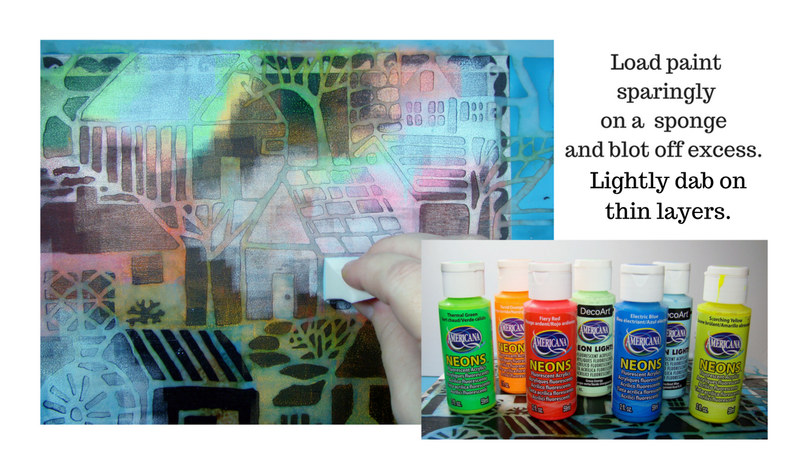 The stencil is my inspiration and paint is my tool to bring it alive. Use some washi tape to create an even border around the canvas. I also used tiny strips of painters tape to help hold it in place. 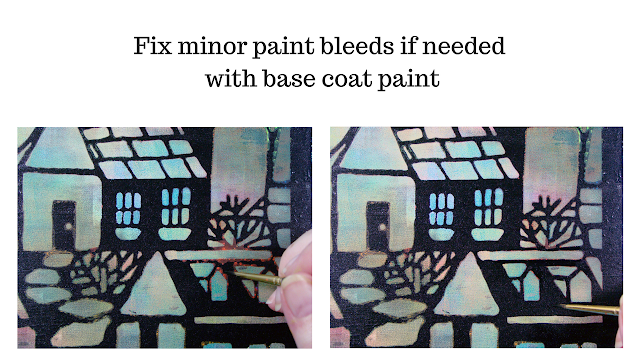 As before, touch up any paint bleeds and call it done. A simple and yet beautiful piece of art! Beautiful job, Sandee! 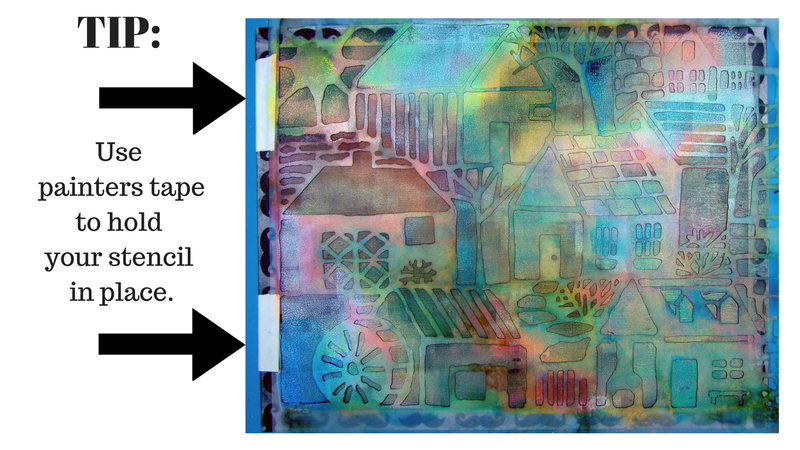 One time, I have trimmed two stencils so that I can join them as one piece. I see no crime in cutting up the stencils to make them easier to use or more useful. I never thought of stenciling the canvas edges - very good idea. Thanks so much for sharing your techniques. Thank you, just love this stencil! This is so fun and creative! It's awesome, one of my many favs! I love this! 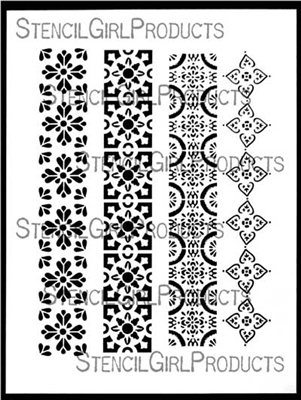 Especially love how you paired these two stencils. They go together so neatly and yet I don't know how you thought of it. Honestly, it was thinking of as a small village out in the country surrounded by a field of flowers!